You might think I am crazy. 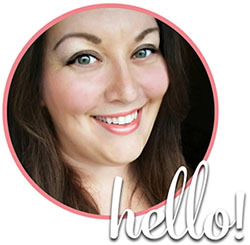 You might even wonder if you accidentally stumbled onto the wrong blog. But I assure you, I am (mostly) sane and yes, this is still An Exercise in Frugality. 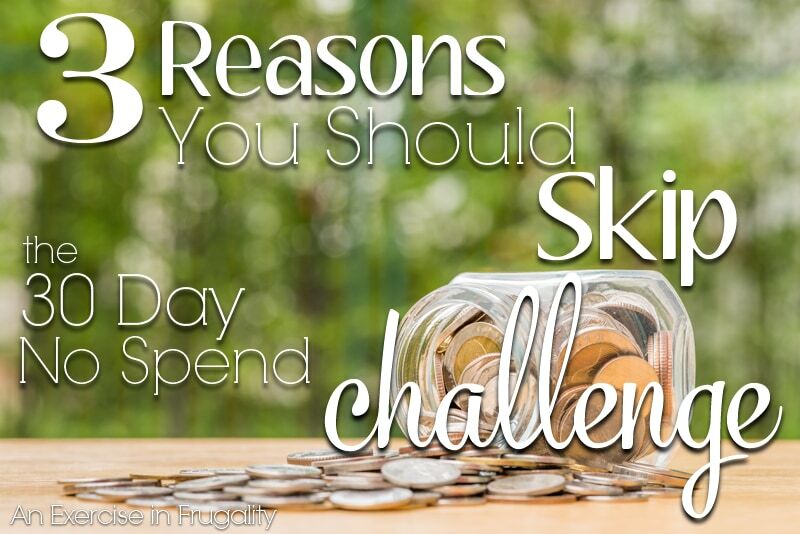 So you’re probably wondering, how can a frugal blogger be condemning the ever popular “No Spend Month Challenge”? That’s because there’s a lot of reasons why this “no spend month” concept may not work for you. A No Spend Month doesn’t change the underlying habits. A no spend month sounds like a fun challenge, you get to tell everyone you’re not going to spend money for a whole month. Will you make it the full 30 days or will you give up a week in? Will you succeed through the 30 day mark only to go on a spending spree with all that money you saved? If so, what was the point? You need to change the habits that brought you into this sticky financial situation, which could mean cutting back, but a moratorium on all spending might backfire and cause you to splurge out of desperation. I have seen people on social media literally saying “I am doing a no-spend month, so I have to wait till next month for that non-essential item”. If all you’re doing is just pushing back all your shopping by 30 days you’re NOT doing your wallet any favors. You might miss out on a really good deal. Sure its easy enough to participate in “challenges” like this. You might have no problem sticking to your 30 day no-spending rules when others are watching. You’re hashtagging your way to social media accountability throughout your 30 days and everything is going great! Then what happens when the lights go down and the curtain closes so-to-speak? When no one is watching, will you still stick to your budgetary guidelines? Or will you slowly and quietly slip back into your bad habits? That’s like doing a 30 day detox cleanse and on day 31 heading to Krispy Kreme for a glazed binge-fest. It doesn’t make sense. 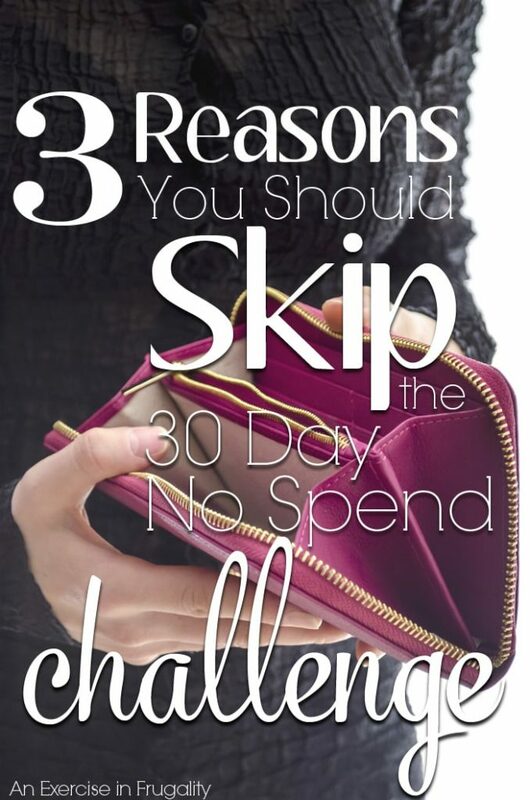 Surely there are some positives to the 30-Day No Spend Month Challenge out there. And I’m not saying you should NEVER participate in one of them, just make sure you’re committing to a lifestyle change, and not a 30-day fluff just to make yourself feel better. Take the drive you have for making changes and set out to make a change that is sustainable and be accountable to yourself without having to have the public affirmation. You can do it! And if you decide to go forth with the challenge anyway, I wish you the best of luck and hope that you are able to use that motivation to carry forth with good spending habits long after those 30 days are up! If you’ve done one of these challenges (whether successfully or not so much) I would love to hear your thoughts and experiences on it in the comments below! Have you ever done a no spend month? I did a 30-day no-spend in January, and I’m doing another one this month. I can see where you are coming from with some of your points, but my reasons for doing a no-spend were pretty different from what you’ve outlined here. I did it (and am doing it) to kick off a gazelle-intense saving spree. The money that is not going toward all those non-essential things we put in our budget every month is going directly to our savings account. It isn’t meant to be a lifestyle change, that would be impossible. It is meant to be a short-term challenge, so you don’t have to keep it up after the “curtain call” so to speak. You never could. You have to buy things eventually. Also, if something is literally such a good deal and so essential that you cannot wait to buy it 30 days, then it doesn’t count as a non-essential item. I wouldn’t condemn the good because it can’t be perfect. I agree! I did a no spend challenge for the month of August and it wasn’t because I over spend I just wanted to throw a lot of money on my student loan so that I can pay it off faster. I did up a spread sheet and figured out how long it would take me (it worked out to being three months). However, I was not going to do that many months in a row just to get rid of my loan. I would just get burnt out and go stir crazy. I have a friend that lives two hours away from me and I like to visit as often as I can. It is also a great idea to do so that you can save a lot of money for Christmas (if you celebrate) or other Holiday’s (Thanksgiving) if you forgot to add that to the budget. Or for an emergency and you need to save a lot of money to pay back your credit card.